This week saw the 50th anniversary of Churchill’s funeral. An opportunity like this to ram home ruling class propaganda, via one of the Brit establishment’s most revered totems, was never going to be passed up. Especially with those uppity Greeks getting all left wing, recently, and sticking two fingers up to the bosses’ austerity measures. Why, you can almost feel poor Winnie burling in his grave. Here’s a wee reminder of the real nature of the man. An excerpt from my book Look Back in Anger: The Miners’ Strike in Nottinghamshire 30 Years On. 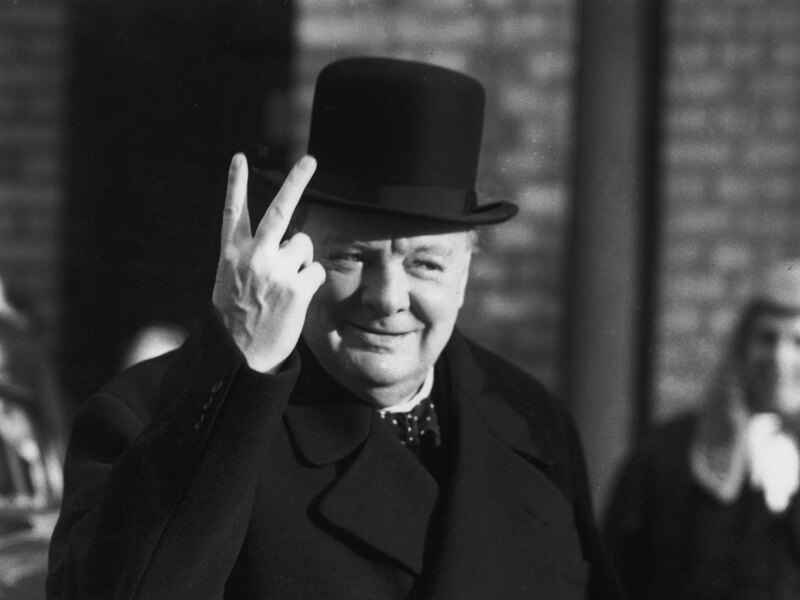 Winston Churchill, not yet airbrushed by revisionist history as the valiant defender of British freedom and implacable foe of Nazism, was responsible for a key part of the Government’s propaganda offensive [during the 1926 General Strike]. And who better? His CV included ordering troops into Tonypandy in 1910 when, as Home Secretary, he broke the resistance of striking miners in the Rhondda, the creation of the brutal and sectarian Black and Tans in Ireland and, predating Hitler by some years – a man upon whom he would lavish fulsome praise and admiration*– advocated the enforced sterilisation of the poor and their incarceration in purpose-built labour camps. Under Churchill’s editorship, the Government’s official strike bulletin, The British Gazette, was, frankly, unhinged in its attacks on the TUC, entirely consistent with the establishment’s fervent belief that the General Strike was merely a precursor to outright Bolshevik insurrection. Churchill immediately grasped what the General Strike meant for Britain’s ruling class: “Either the country will break the general strike, or the general strike will break the country.” The hysteria continued. The Communist Party General Secretary, Harry Pollitt, was jailed for ‘seditious intent and incitement to mutiny,’ Churchill cranked-up the attacks in the Gazette and the BBC was conscripted as a partisan arm of the Conservative Party, point-blank refusing to broadcast any alternative view, from either the TUC or the Labour Party, that might counter the avalanche of disinformation and outright untruths raining down from the Government. “I do not agree that the TUC have as much right as the Government to publish their side of the case and to exhort their followers to continue action. It is a very much more difficult task to feed the nation than it is to wreck it,” he remarked with a notable absence of that fabled British sense of fair play. Moving away from my book, here’s a few more examples of Winnie’s thinking and world-view.